One of the great things about working in the London wedding industry is the diversity in clients and venue’s alike. When Jodie and Tom got in touch with us (via Tom’s awesome sister Lucy!) 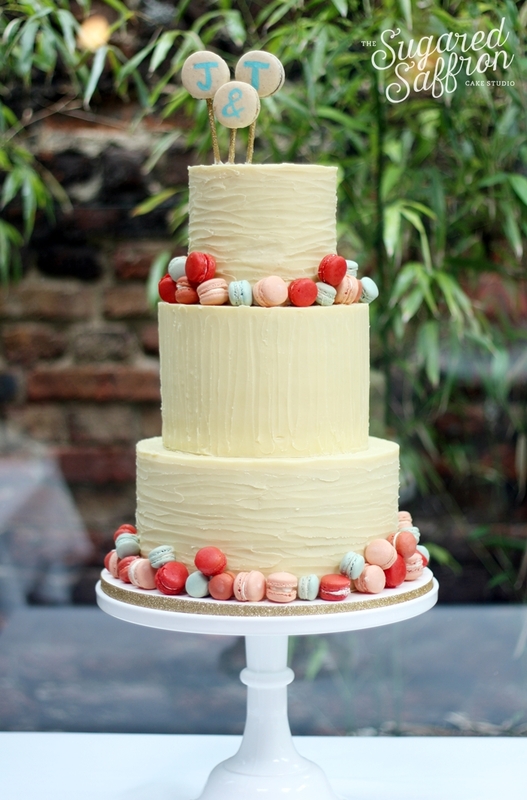 about their non-traditional wedding at The Portal restaurant in Clerkenwell, we were all smiles. Restaurant weddings are always fun, as they feel so much more intimate than the large hotel weddings we can get used to. Some of the initial ideas that were thrown around included rainbows and clouds which gives you some indication of how much personality they wanted incorporated from the start. 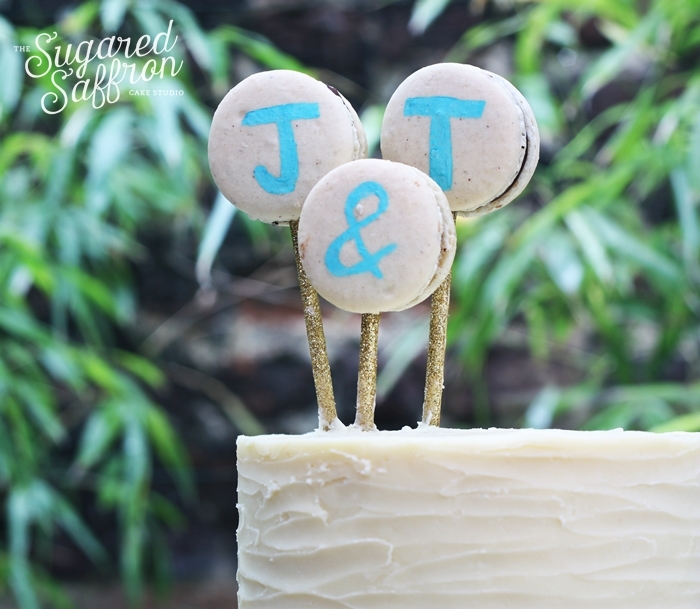 We finally decided on using cute mini macarons to decorate a cake iced in indulgent white chocolate ganache. The final design was quirky, fun and at the same time sort of elegant. The clean straight corners of the ganache give the rustic feel of the cake a professional look. The cake sat pretty atop a white milk glass cake stand, and fit in perfectly with the rest of the decor and big blousy peonies. 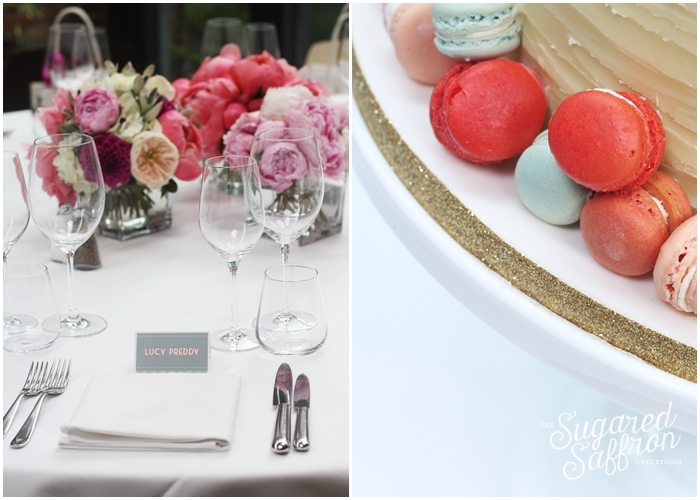 The orangey pinks were spot on, whilst the grey blue macarons tied in with the art deco invites and tablecards. The staff at the portal were beyond friendly, so accommodating and professional. Unfortunately due to the horrendous rising commercial rents in London, they were forced to close. We wish Antonio and the team all the best in their future endeavours. © 2019 The Sugared Saffron Cake Studio.